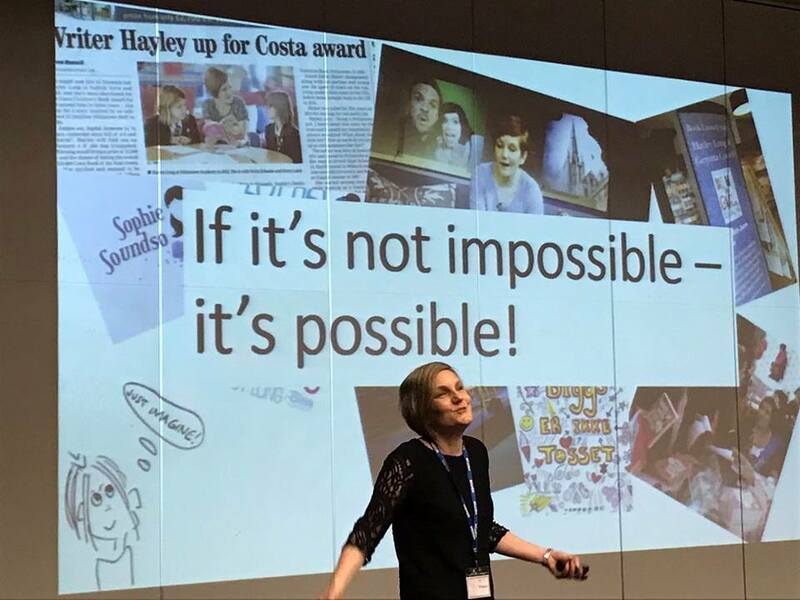 "Hayley’s visit was a huge success. She enthused Year 7 boys and girls with her lively and hilarious presentation, and I was really thrilled to see students working feverishly to produce haikus in the workshop sessions. I would highly recommend Hayley if you’re considering an author visit." 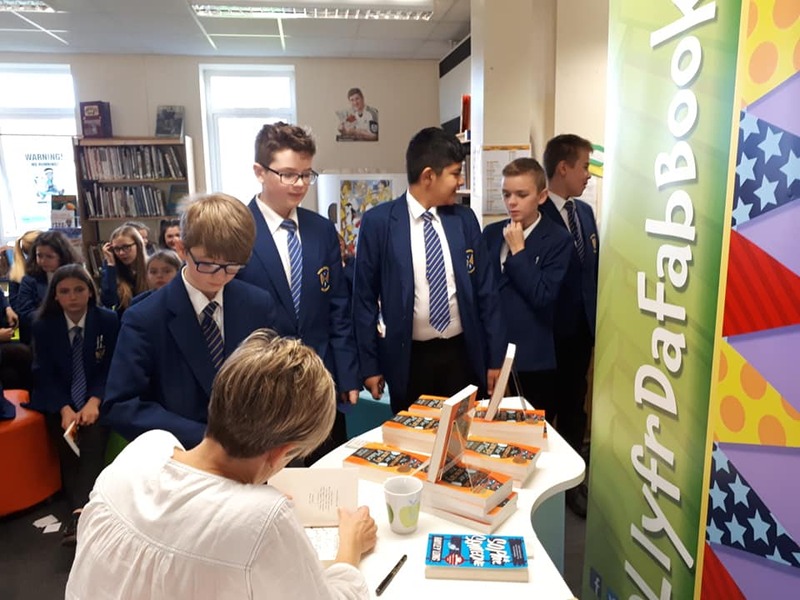 "Lively, fun and inspirational, Hayley engages students from the start of a workshop right through to the end, with hilarious readings from her novels, character creation and plot ideas on the way. Students get a real kick out of these sessions - and so do I!" "Thank you so much for giving your time to our students and for giving them something fantastic to talk about for the next few years! 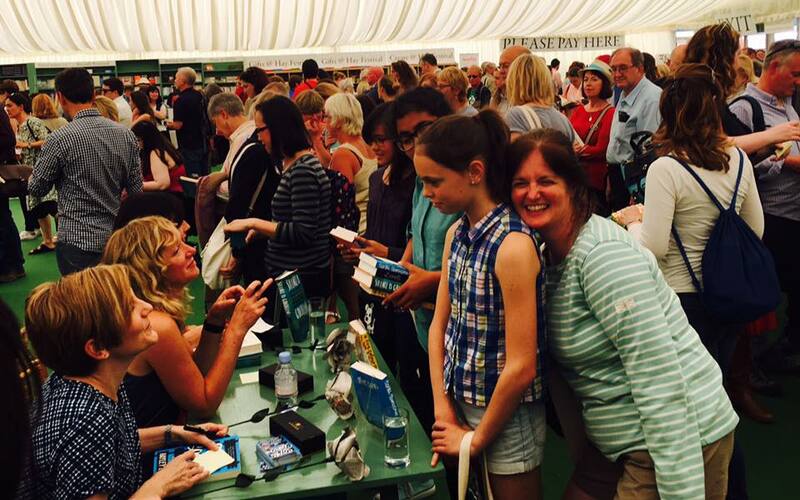 A fantastic event from a superb and much-loved author. Subject to availability, I can now make a visit any day of the week and will consider travelling to any location - even if that's in Timbuktu. 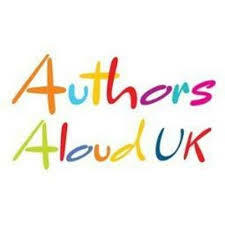 To book me for your event, please click on the logo below and email the super-organised people at Authors Aloud.